We have an extensive range of janitorial cleaning supplies such as our high range of high quality buckets for use with traditional style cotton, viscose or hygiene socket mops for the professional market. 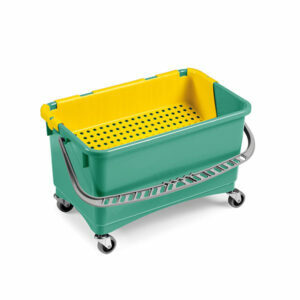 Quality mop bucket with large raised cone wringer and offers good durability. The bucket features a pouring lip and dilution marking for ease of use. 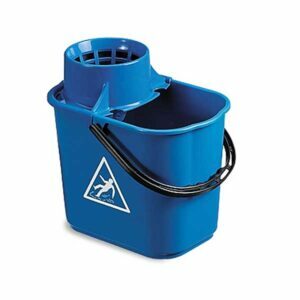 Complete with a fixed handle and available in the 4 hygiene colours this deluxe mop bucket is suitable for socket mops, RHP, Optima 200-300g and all white mops. 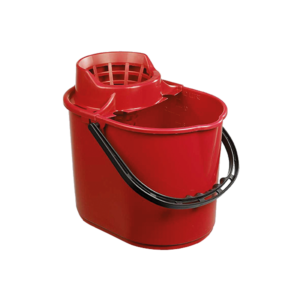 15 litre mop bucket with large raised cone wringer. The bucket features a pouring lip and fixed handle. 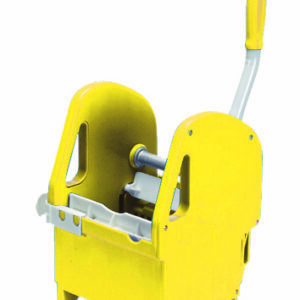 Available in the 4 hygiene colours this UK manufactured mop bucket is suitable for socket mops, RHP, Optima 200-300g and all white mops. 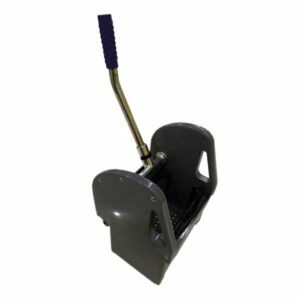 Superb quality mop bucket with raised cone wringer which can withstand vigorous wringing of the mop by the user. 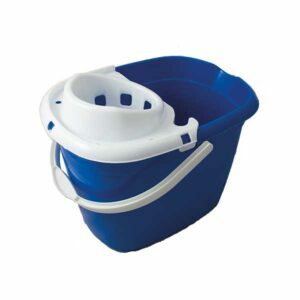 This bucket is made completely from plastic and is very strong so you can be assured of a good investment. Available in the 4 hygiene colours and complete with printed 'caution wet surface' symbol. Suitable for socket mops, RHP, Optima 200-300g and all white mops.